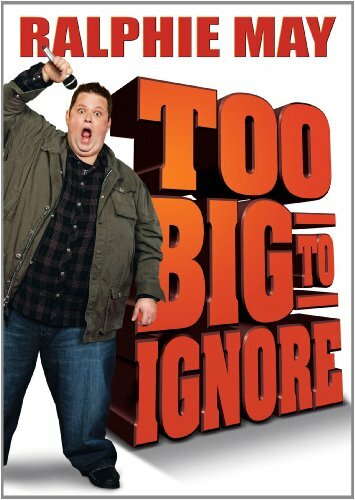 Order ‘Ralphie May: Too Big to Ignore,’ available by clicking on the DVD above! Ralphie May is the big man on the comedy campus. You know that if you’ve ever seen him—he’s a heavyset southern guy with soft gentle looking facial features. Then he opens his mouth—and, oh my God! You probably remember Ralphie May best from season one of “Last Comic Standing.” Since then he’s proven himself to be one funny, funny MF-er. Which reminds me – if you’re under 18 or easily offended, tune Mr. Media out for the next 30 minutes ad check out the FlyLady or Dr. Blogstein. This show is strictly for grown-ups.